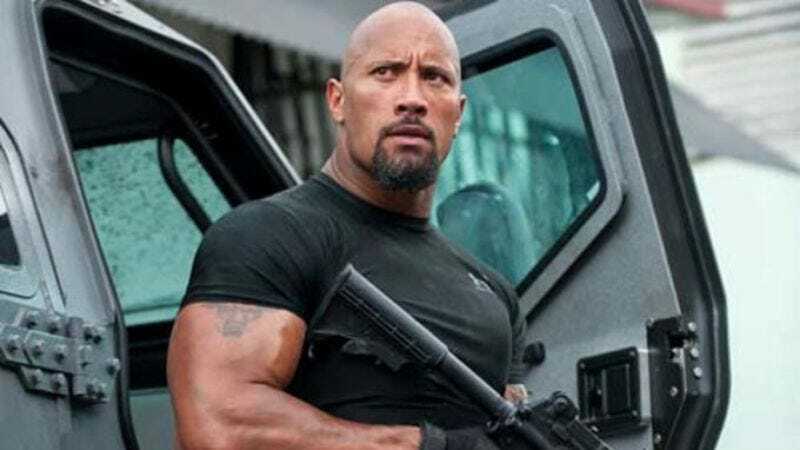 Dwayne Johnson is set to executive produce a new scripted series for Fox, The Wrap reports. The genre? Action, duh. What, do you really expect The Rock to make a slow-burning series steeped in tension and nuance? No, if he is going to live up to his reputation, lots of things will go boom, the cars will be very fast, and the cast will be able to bench press each other. The hour-long action series is titled Boost Unit, and centers on a new recruit to the LAPD’s Auto Theft Task Force who has a secret past as a getaway driver. Yep, that all checks out. (And no, the series has no association with the Fast & Furious franchise.) Jonny Umansky and Zach Hyatt have signed on to write. “We’re bringing to life the high stakes street pursuits and grueling work of this very specialized elite task force and we’re excited to partner with Imperative Entertainment to combine an epic mix of gripping action and sophisticated storytelling,” Johnson said in a statement. Then he flexed and the world imploded. The impossible-to-hate pro-wrestler-turned-actor has been increasing his role as an executive producer lately. His HBO comedy Ballers was renewed for a second season, and he has another NFL series in the pipeline. He is also producing the Baywatch remake, which stars Johnson along with Zac Efron, Alexandra Daddario, and Kelly Rohrbach in Pamela Anderson’s original role, which she earned after passing the running-in-slow-motion test.